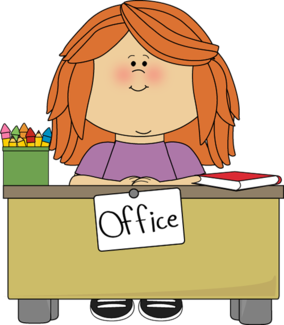 Office volunteers are needed three days a week (T,W,T) for one hour (11:45 AM - 12:45 PM) to help with sorting mail, covering Devin's lunch, shredding, copying, filing, making labels & folders and other clerical duties. Each one hour shift will include a minimum 30 minutes in the bubble to help check in visitors and volunteers during Devin's lunch. TEACHER APPRECIATION LUNCHEON DATES - Volunteers are especially helpful watching the window on TA luncheon days because the office staff rotates through lunch duty to ensure each grade level team can eat together. PLEASE NOTE THE DIFFERENT TIMES FOR THESE DATES. WILL BE LONGER THAN USUAL. VOLUNTEERS NEED TO BE THERE FROM 10:45-1:00. For Teacher Appreciation Days, each shift will be a 2hr & 15 minute shift. This will include all the responsibilities as usual.